On this guided tour, walk in the footsteps of stars that have played a part in the history of the Stade de France! 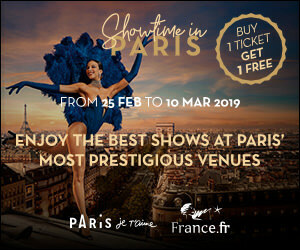 Enjoy the privileged experience of entering the biggest sporting and cultural venue in France and feeling the excitement of the 1998 World Cup final at the Stade de France. Visit the stands, enter the players' changing rooms, walk through the tunnel leading to the pitch just like on a real match day, and relive the magic of the awarding of the trophy. Zidane, Griezmann, Johnny Hallyday, Madonna and AC/DC, have all performed at the Stade de France, either for a match or a concert. This 1hr30 tour reveals many unusual anecdotes to you about the history and architecture of the stadium. This tour includes a self-guided visit of the Stade de France museum, where you’ll get to see a large number of archives, models, signed guitars and jerseys, objects linked to the most mythical stadium in France. Meeting point: Porte H, at the visitor’s reception in the official store of the Stade de France. - For families (2 adults + 2 children), a reduced rate is offered at the venue. - For security reasons, there is a mandatory bag search at the entrance to the stadium. Luggage and bulky objects are not allowed. Discover with our experimented guide Montmartre area for about 2 hours.